Highlawn Farm – Foxboro MA | Douglas A. 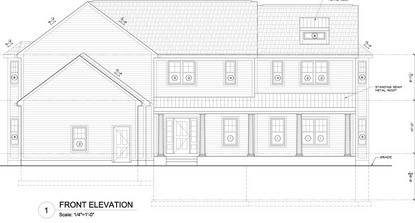 King Builders, Inc.
9 lot subdivision of single-family custom homes under construction now, spacious 8 room, 5 bedroom, 5.5 bath contemporary colonial with finished basement with wetbar and 3 car attached garage, over 5000sf of living area on a 30,000sf lot. Call Doug King for more info. This development is currently sold out.